The early years shape a life. Research in child development has demonstrated that during the years from birth through 6 years old, important growth occurs in all domains, including social, emotional, cognitive, linguistic and physical development. The early childhood educator – whether a teacher, family or child care provider – plays a critical role in fostering children’s development and investing in their future. In OCCC’s Early Childhood Education program, we offer you the skills you need to succeed in the world of early childhood development, early childhood education centers, preschool programming, infant and toddler care, and family child care programs. Employment opportunities may include teaching assistant, child care aide, lead teacher, family child care provider and program director. To see what classes you’d need to take to earn these awards, consult our program brochure. Prospective students should note that a completed not-for-credit credential (the CDA: Child Development Associate and the Oregon Registry Step 7) may apply to the Early Childhood Education program and the student’s transcript for program credit. Please speak with a program advisor for more details. Program development was supported in part by funding from Meyer Memorial Trust through their Equitable Education Portfolio, and through a collaboration with the Lincoln County School District. Oregon Coast Community College’s Early Childhood Education program is designed to accommodate the part-time and full-time student. Early education courses can be used to fulfill training and education requirements for family child care providers and child care teachers in Oregon. 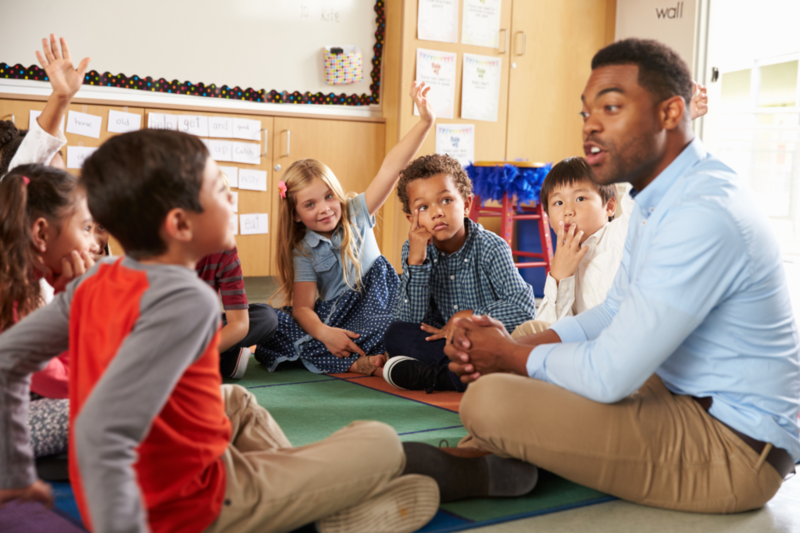 The National Association for the education of Young Children’s minimum suggested training for teachers is an Associate of Applied Science degree in Early Childhood Education (E.C.E.). All courses and competencies mastered at the certificate level apply to the A.A.S. degree. Early education classes meet state continuing education requirements for teachers and family child care providers. Meet practicum competencies for the certificate and degree. Practicum (student teaching) is a required component of the program. Practicum allows students to develop skills in working with children in a group setting using developmentally appropriate methods. Before students can begin practicum, they must submit documentation of registration with Oregon’s Criminal History Registry, of measles immunization, and of a current Food Handler’s Card. All required forms are available from the program office. Students are advised to begin gathering this documentation early (well before practicum begins). Students who have not submitted the required documentation to their practicum instructor may not begin practicum. Ability to develop and plan activities and environments appropriate for individual children and for diverse groups of children and their families. Teachers and home care providers plan the environment and develop suitable learning experiences for young children in care and education situations. They supervise play and meet physical needs of small children. They assess children’s progress and discuss a child’s development with parents. As a specialist, you will work closely with young children and their families as the children learn to communicate, solve problems and work and play together. It will be your job to help provide an environment that fosters growth and self-esteem – a place where children can thrive. Early childhood graduates may also work in related fields such as child care resource and referral. OCCC’s program is designed to develop your ability to understand children and their families; observe and assess children; guide children individually and in groups; plan and implement activities; develop and maintain environments where children will thrive; supervise assistants or other teachers; communicate with parents daily and in formal conferences; refer families and children with special needs to appropriate community resources; provide nutritious snacks; identify and correct safety hazards; and maintain children’s and a center’s records. Graduates of this program are hired by Head Start programs, day-care centers, parent cooperative preschools, private preschools and kindergartens, and resource and referral agencies. Public schools hire graduates as teaching assistants and parents hire graduates as nannies. Most jobs are located in or near cities. Some graduates also start their own in-home childcare and preschool programs. Are you looking for more information about OCCC’s Early Childhood Education program?